While many firms prepare business and individual tax returns we distinguish ourselves by insuring that your tax situation is positioned as advantageously as possible. We go beyond the tax return and look at your overall business. This is not just a marketing statement, this is how we operate. Many businesses are using outsourced accounting as an effective management tool. By outsourcing accounting functions, clients are able to shift responsibilities into the hands of professionals. 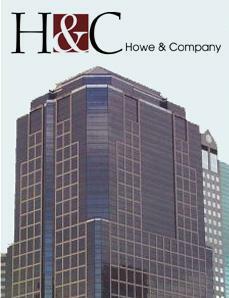 Howe & Company can perform interim and annual accounting tasks or assist your current staff to manage deadlines. We can provide a full range of outsourced accounting functions from accounts payable, bookkeeping, and tax to transitional management and part-time CFO services. Howe & Company has the ability to tailor fee structures that will best meet our client’s billing cycles and overall needs. Increasingly more companies are discovering that the value proposition brought to the table by Howe & Company is the most strategic outcome for their bottom lines. While many firms prepare business and individual tax returns we distinguish ourselves by insuring that your tax situation is positioned as advantageously as possible.